The trade mission was primarily aimed at exploring opportunities for the Netherlands aviation and energy sector. The trade mission ran parallel to the three-day state visit of the royal couple to Portugal. Dutch business was well represented with 35 companies – 24 from the aviation sector, 9 from the energy sector and 2 knowledge institutions. 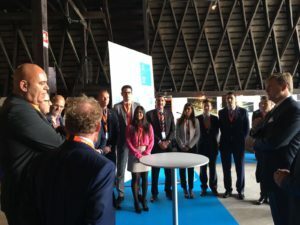 On Wednesday Minister Ploumen visited, together with the participating companies, Lisbon Airport, which wants to expand with a second location. The Dutch entrepreneurs presently saw opportunities here. Ploumen also attended a work visit to aviation manufacturer OGMA and spoke to the Portuguese Minister for Infrastructure on Economic Cooperation. 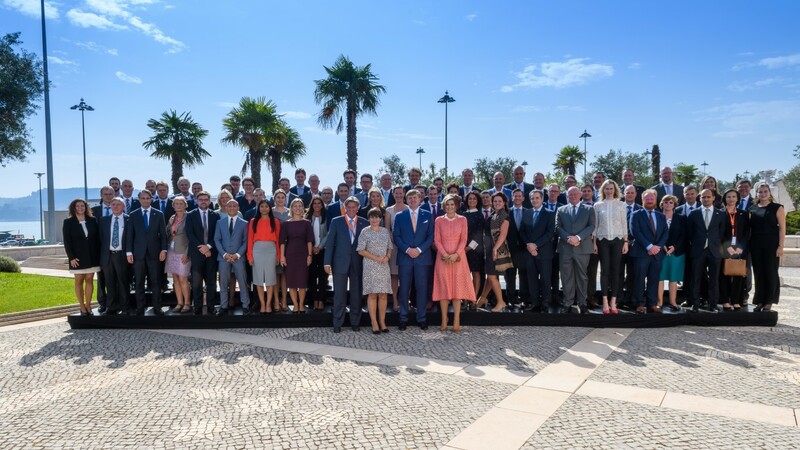 On Wednesday also a trade lunch took place with the royal couple and representatives of the Portuguese business community. On the last day of the state visit, King Willem-Alexander and Queen Máxima visited OGMA, Indústría Aeronáutica de Portugal. During a tour through the hangars, the couple spoke to the companies participating in the economic mission. They spoke about possibilities of Portuguese-Dutch cooperation in the field of aircraft construction and maintenance and airport development. As a representative of USE, Anton Huizing, commercial director, had also the opportunity to speak with King Willem-Alexander about the CEDD technology. The King was very well aware of some CEDD AGL (Air Ground Lighting) projects in the Netherlands and Canada. In particular, the King mentioned the Schiphol project.